Martin Luther King, Jr is one of the iconic figures of 20th century history, and one of the most influential and important in the American Civil Rights Movement; John Kirk here presents the life of Martin Luther King in the context of that movement, placing him at the center of the Afro-American fight for equality and recognition. This book combines the insights from two fields of study, seeking to combine the top down; national federal policy-oriented approach to the movement with the bottom up, local grassroots activism approach to demonstrate how these different levels of activism intersect and interact with each other. 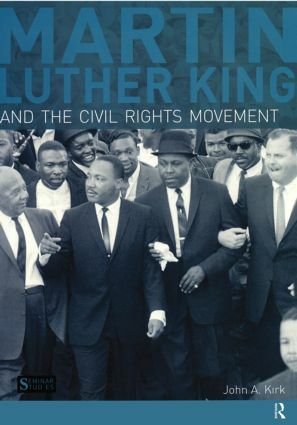 INTRODUCTION: MARTIN LUTHER KING, JR.: SAINT, SINNER, OR HISTORICAL FIGURE?